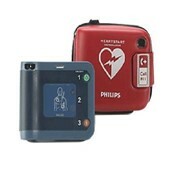 Defibrillators - AED Powerheart G3 Pro, The Powerheart AED G3 Pro is a fully equipped automated external defibrillator (AED) for medical professionals that comes with a color display, 3-lead ECG monitoring capability, and manual defibrillation override. 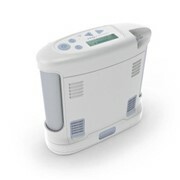 Rescue Ready technology to self-test all main components (battery, hardware, software, and pads) daily. It completes a partial charge of the high-voltage electronics weekly, and a full charge monthly. Rechargeable and non-rechargeable battery options. 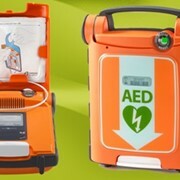 The color ECG displays the victim's heart rate, waveform, number of shocks delivered, and the elapsed rescue time — exactly what emergency workers need to know. Reliable. 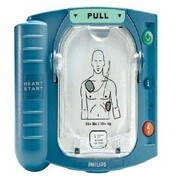 The Powerheart AED G3 Pro is Rescue Ready when needed. Comprehensive. 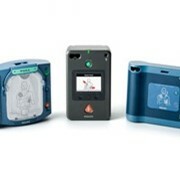 The semi-automatic operation, manual override option, and 3-lead ECG monitoring capability give you the tools you need to be in complete control. Easy to read. 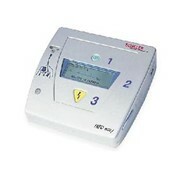 The color ECG display (an industry first) shows critical patient information. Guidance. 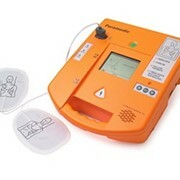 The built-in metronome (which can be switched off) can set the pace for CPR compressions. Reassuring. 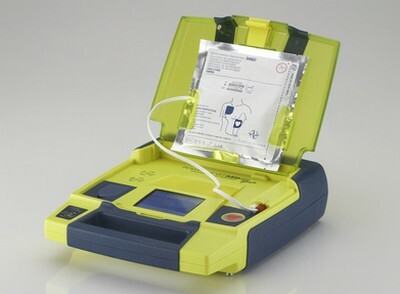 In AED mode, the device knows when to (and when not to) deliver a defibrillation shock.